A layer of phytonutrients in the pepper can help to break the fat cells. It is very good to help your diet program. In addition the process of solving these fats cause you to sweat and urination, which can eliminate toxins in the body. If you bloated, try eating black pepper. 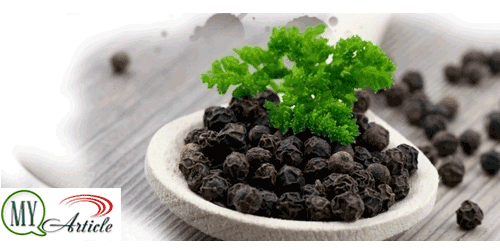 This is because black pepper is a carminative which can prevent the formation of gas. Add black pepper in food will be able to relieve bloating. Pepper contains antibacterial that can relieve the flu. A sense of warmth can loosen throat and nasal congestion. Add black pepper to chicken soup, eat while warm. Warm feeling will ease your pain. Pepper contains piperine can provide a happy effect if you eat them. So if you consume a lot of pepper, it can reduce stress. Substance piperine in pepper can also improve brain function. ^^Pepper so many benefits for health, of course, eat them with a sufficient amount of excessive and not good for health.